No longer the preserve of log-lugging lumberjacks, pickups have become cool and, at least in modern terms, Ford’s F-150 Raptor is the daddy. Unfortunately, the “Built Tough” behemoth isn’t available on UK shores – at least not officially – however, there is hope for pumped-up pickup fans in the shape of the newly-announced Ford Ranger Raptor. 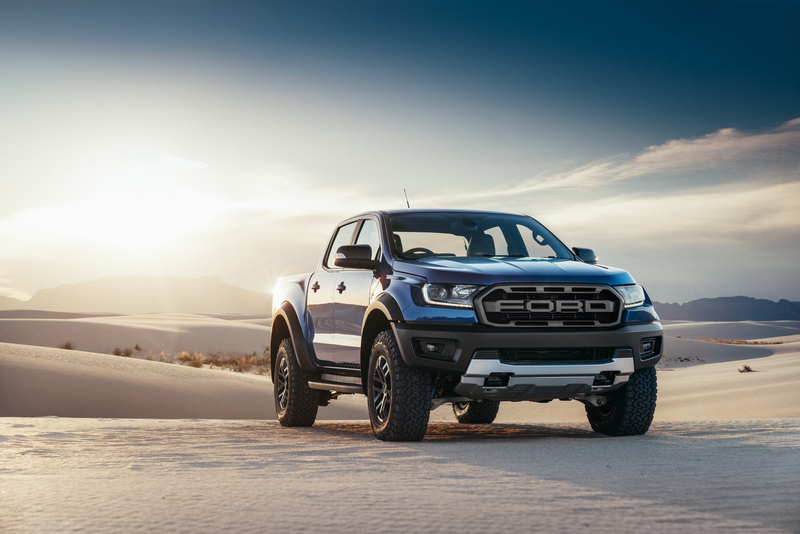 Designed to conquer your locals dunes, the front bumper has been redesigned to offer “desert durability performance” and, while nowhere near as monstrous as the supersized F-150, the Ford Ranger Raptor is noticeably more muscular than its standard counterpart. Using a composite construction at the front to ensure it is strong enough to take an off-road beating, the baby Raptor gets the wide-arch treatment all-round as well as a set of long-travel Fox Racing Shox dampers should you decide to embark on a Baja-esque adventure. The competition-bred suspension should ensure the Raptor can tackle the toughest terrain while “Internal Bypass technology” prevents it wallowing around like the QE2 when back on the black stuff. Off-roading is made even easier with a set of super tall knobbly tyres and Ford’s Terrain Management System, which provides two on- and four off-road driving modes (including the famous ‘Baja’ setting). 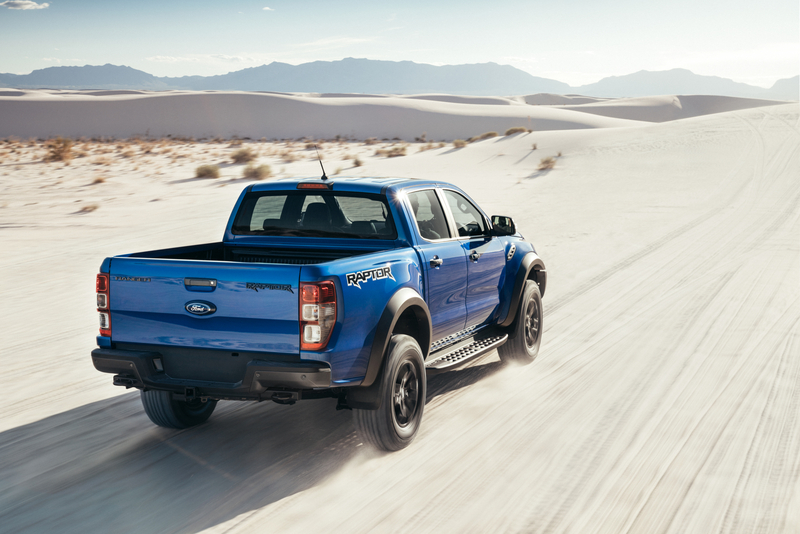 Unlike the F-150, the Ford Ranger Raptor doesn’t get a 450hp EcoBoost engine. Instead, a hugely torquey 2.0-litre twin turbo diesel is mounted up front, driving through a ten-speed auto ‘box. (NB: 100 Flat-Out points to the first person who shoe horns in the F-150’s 3.5-litre V6 into the Ranger). Longing for a Raptor rampage? Keep an eye out for Dan Trent’s F-150 road trip, coming soon to Flat-Out.